Hopefully you saw my other 2 posts about using up left over paper to cover notebooks – either mini notebooks or larger ones. 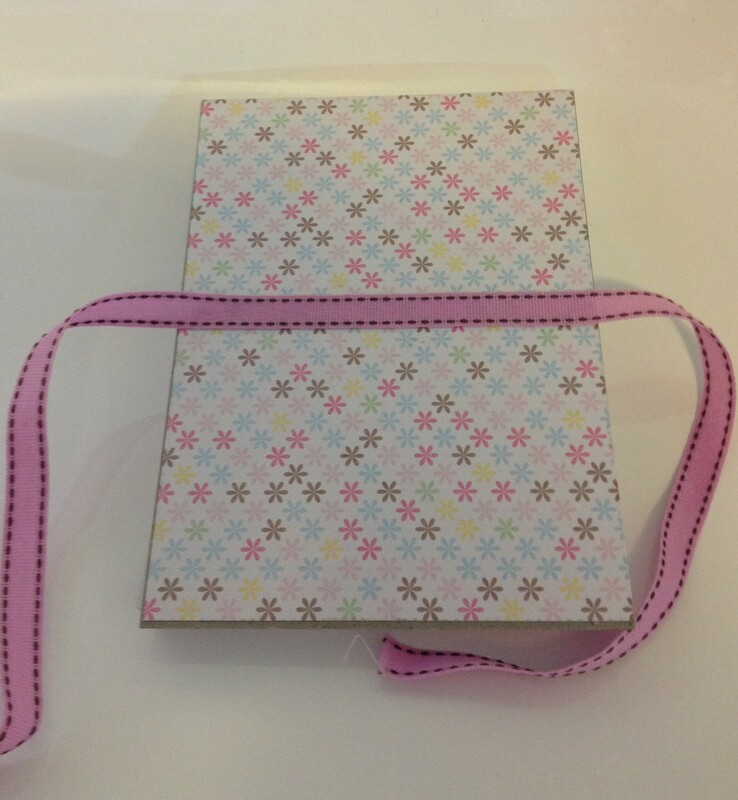 Here is another idea – using a simple blank ‘jotter’ style notebook but making it a little more special with a bit of pretty paper and a ribbon. These books take less than 5 minutes to cover but are so much nicer to have on your desk or kitchen bench than a plain old notepad. To work out the length of paper you need, all you need to do is measure the size of the notebook (measurement 1) and measure the size of the spine (measurement 2). The length of your paper will be 1 + 1 + 2. The width will be simply the width of your notebook. Again, this is very simple. Turn your notebook onto the reverse side once covered, run a strip of glue (eg Snail adhesive) along where the ribbon will go and adhere. 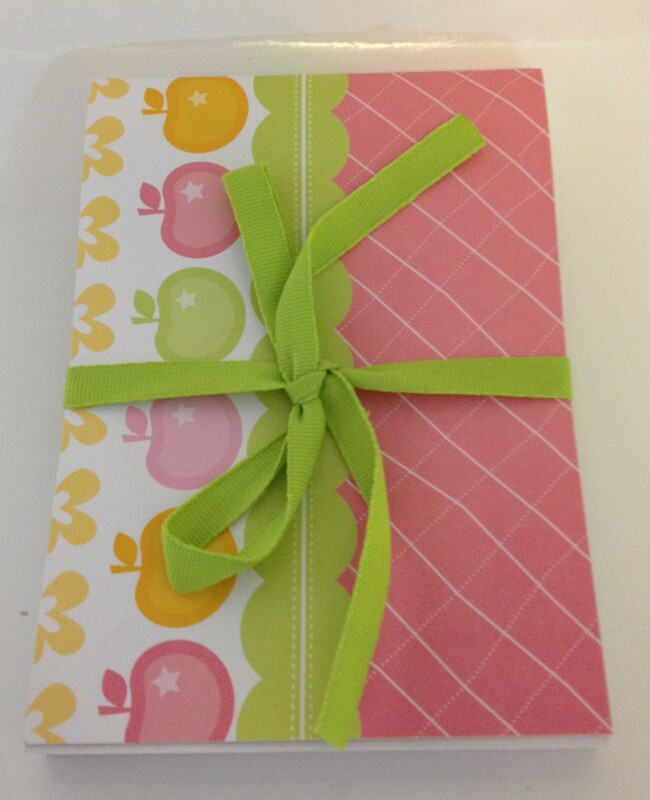 Once you have stuck on the ribbon, simply turn your notebook right side up and tie a bow! As you have probably noticed, most of my blog posts so far have been the result of sorting through all photos of things I’ve made and sharing them with you. This post is similar! At Christmas time we always seem to have lots of bottles of wine as gifts for family and friends. (I’m not sure if that says more about them or us!) 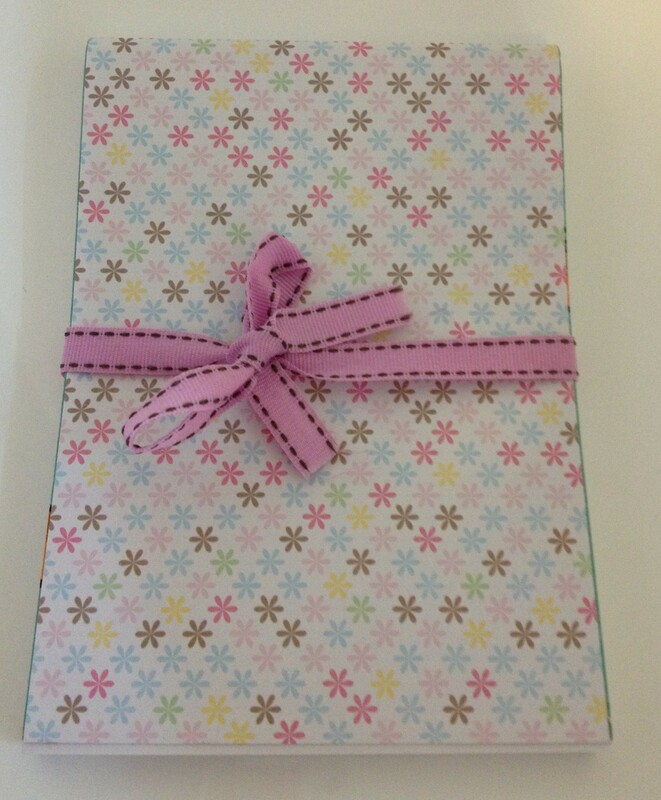 I got a bit sick of buying bottle gift bags this year so thought I’d come up with something a little more personal. I used some offcuts of Riding hood Red card stock I had lying around so didn’t measure the width but it was roughly 7 cm wide. I used my largest circle punch to punch a hole for the bottle to go through and then scored below it and folded. 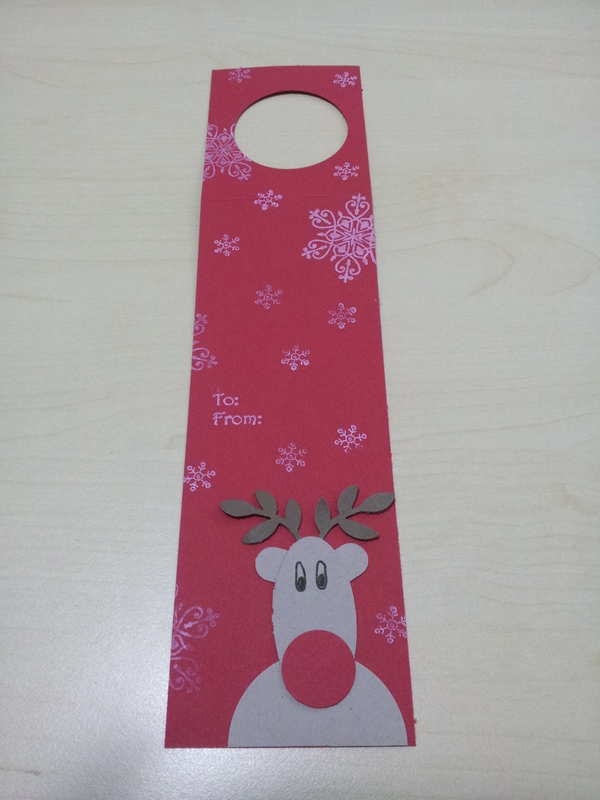 To make the Rudolph I used my small oval punch for the head, a 3/4 inch circle punch for the red nose, half of a 1 3/4 inch circle for the body, the ends of a word window punch for the ears and the leaves from the bird builder punch for the antlers. I used a snowflake image from a retired stamp set to decorate the background, but any small flower stamp in white ink would probably look like snowflakes? Next time I might try making birthday or general occasion bottle toppers – I may never buy a bottle bag again!